Language is a social phenomenon best learned through social interaction. Our language bears the mark of our culture and society. In Tripura however, language has proved to be more of an impediment to learning. Many children, with little exposure to Bengali have to start with a new language and it becomes an additional burden to them. In Kokborok medium schools, children do not get exposure to different kinds of reading materials because there is hardly anything available for young learners other than the textbooks. As Language is the basis of all learning, lack of proficiency in language leads to low achievements in other subject areas, particularly where the home language of children is different from the official medium of instruction. Vikramshila with support from the Tata Trusts launched the Reading Improvement Programme in Tripura. Through this project we tried to understand the problems and seek possible solutions for children growing up in a Multi-lingual situation. The pilot started from 2015 in the district of Khowai in Tripura where children are usually from Kokborok speaking tribal families. Reading Improvement Programme – Khowai, Tripura Tripura has a high population of ethnic groups which consists of 19 tribes and many sub-tribes. Tulashikhar, our project area, is a tribal dominated block where most of the inhabitants speak Kokborok, a language that belongs to a different family and has no lexical resemblance with Bengali, the official medium of instruction of all government-run schools. Due to lack of an effective transition policy from Kokborok to Bengali, there is a huge learning gap among the children. Thus, in Tulashikhar, our main aim is to use Kokborok as a scaffold to slowly introduce Bengali as a medium of instruction. The project aimed to improve the learning levels of children in classes 1 to 8, to achieve grade-appropriate competencies in all the schools of Tulashikhar block in Khowai. In primary grades, the children learn Kokborok (which follows the Bengali script) and English. From class 3 onwards the children are introduced to Bengali, which is the official language of the state of Tripura. This unique situation while creates a lot of scope for interesting work on language development, also poses serious problems of transition of language from first to second to third. The fact that Bangla and Kokborok have a common script but are different languages altogether is a different problem. Development of Language Modules This year we organized workshops to develop modules for the upper primary school level in Bengali and English. The new MHRD learning indicators were the reference for this where BRPs, CRPs and teachers from various schools worked together to develop the first draft. The modules are being modified which will be followed by a process of validation prior to submission to the SSA. In continuing with our efforts to encourage technology enabled learning, this year we designed digital content in English (based on the state syllabus) to conduct classes using the Virtual Learning Medium. These virtual learning classes (VLC) were a convergence of our multimedia resources in English and our learning camp materials for students of class 10, who would be appearing for their state level board examinations. The classes were conducted by English language experts together with local school teachers. Despite challenges with network and accessibility, we did manage to create an innovation that vastly appealed to the students and made learning fun and exciting for them. During our review of language resources available in the state, we found very poor and limited learning materials and written resources in tribal languages. Whereas Khowai is largely tribal dominated district, this omission deeply affects the quality of teaching learning processes. In an effort to address this lacuna, we tried to develop a repertoire of learning resources in the tribal language – Kokborok that could be accessible and available to all. A resource bank of age appropriate and context relevant material with purposeful and attractive materials was developed. 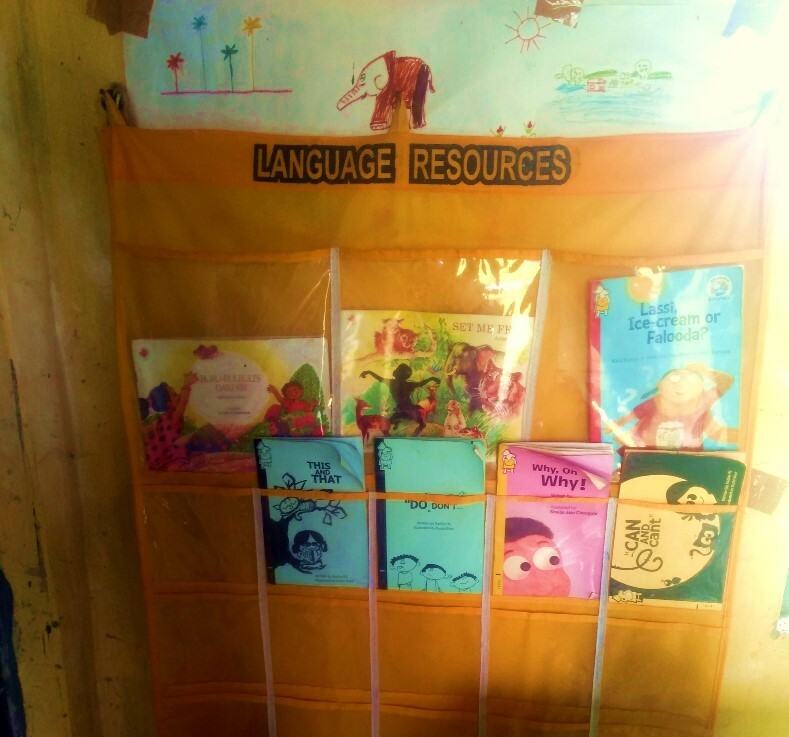 The materials bank had similar resources developed in Bangla and English aimed to enable a smooth transition from home language to the official medium of instruction. To initiate this work, we roped in resource persons from Tripura who were fluent in all the three languages, had a keen understanding of the local language issues and an experience of working with children. The multilingual materials were designed by a group of external resource persons, teachers, and our programme teams together with language and pedagogy experts of our Central Resource Unit. We brought in artists to illustrate the stories and poems translated from Kokborok to Bengali. The materials developed and drafted were validated by state experts for the MLE package to be finalized for printing. In Tulashikhar, there are a significant number of teachers from the non-tribal community who teach in schools with a high incidence of tribal children. Often these teachers do not understand the child’s mother tongue, which leads to a communication barrier in the classroom. There are also cases where tribal teachers do not have adequate language proficiency in Bengali. This results in the alienation and marginalization of the children. With every passing academic year, the learning gap widens, and children either drop out from school, or continue as low achievers without acquiring even basic literacy and numeracy. BaLA is an innovative concept which comprises development of child-friendly physical environment through changes and alterations in the school environment. It offers children innovative ideas and learning in a fun-based manner. Most of the schools in Tulashikhar wear such an uninteresting look that the children have very little reason to find their school welcoming and attractive. Moreover, majority of the children come from print-deprived families and are usually first generation school-goers. Creating an enriched and attractive classroom, that is both appealing and print rich, laden with abundant resources is a very important to get the children to look forward to coming to school and take interest in learning new things. As a targeted goal, we decided to ‘do-up’ the schools and our team literally went around helping the teachers put up class libraries, word walls and other attractive materials. Unfortunately, on later visits we observed that none of the resources and materials, including the illustrated library books was used by the teachers in the classroom. This led us to work deeper to initiate changes in the overall school environment and we brought in the idea of BaLA – or using the building as a learning aid. 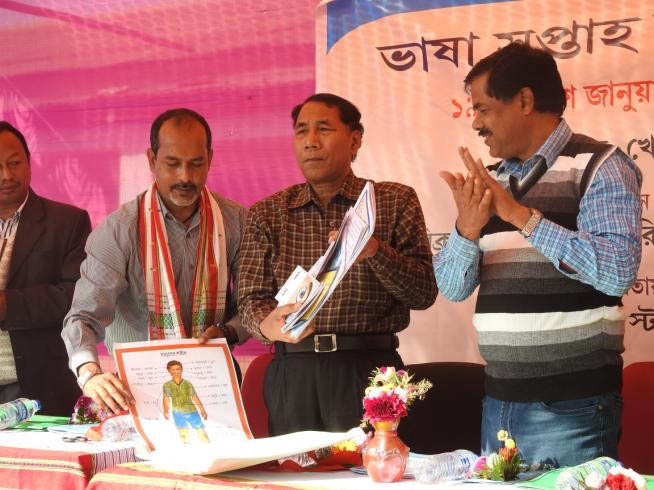 The BaLA (‘Building as Learning Aid’) initiative was formally inaugurated at Bachaibari School by Sri U.K. Chakma SPD (SSA) and Director of School Education (Primary) in November. Bachaibari Class XII School was the first school in Tripura where the BaLA concept had been implemented. The BaLA will be implemented in 25 schools in Tulashikhar. In an effort to support teachers to bridge learning gaps in language among children, we shared our experiences of using learning enhancement camps as an important strategy. This method is scientific with short targeted goals for concept development and a good method to scaffold learning on a one-on-one basis that is usually not possible in the classroom. In addition, over the year more than 450 teachers were included in our capacity enhancement programs, which have dealt with English pedagogy and classroom strategies to ensure language acquisition.